This morning I went to a local pond where there is many adult Bullfrogs at close range. Some are more tolerant than others, I just need to find a Bullfrog in a beautiful setting and that will let me close. What I liked about this adult male American Bullfrog was the moss on the shore and the perfect reflection. Taken with my Canon 7D and 400mm/5.6 L, I pushed my tripod as far as I could in the pond to have a water level point of view. This entry was posted on May 16, 2015 by Steeve Marcoux. 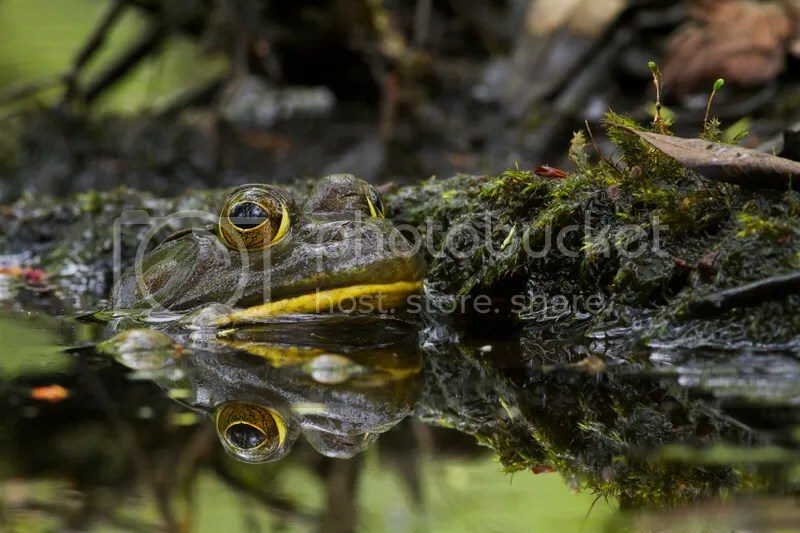 It was filed under Weekly photo and was tagged with art of close-up photography, bullfrog, canon 7d, photography, pond.